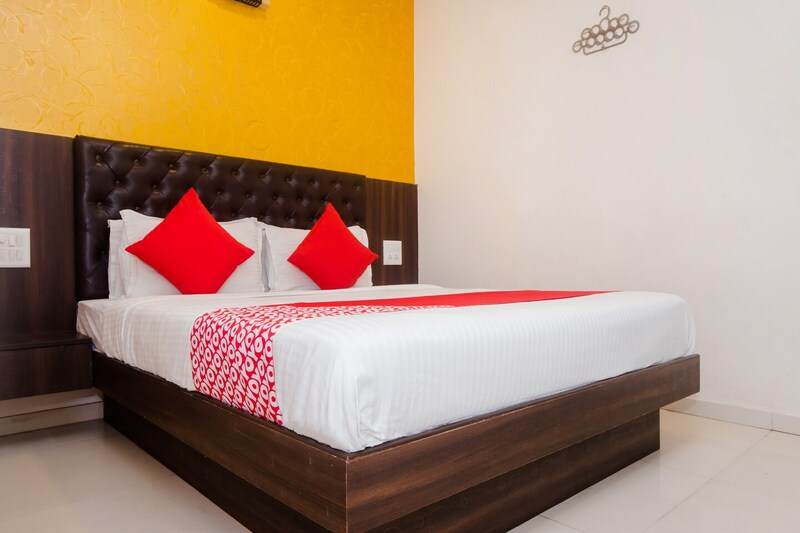 A well-connected hotel in Mumbai, Hotel Bently is located near metro stations, bus stops, and Chhatrapati Shivaji International Airport. Aimed at travellers who are visiting the city, the hotel is designed with modern facilities and services. Bright statement wall and cushions make the space vibrant and delightful. The cushioned headboard makes for a comfortable addition to the space. Facilities at the hotel include card payment option, CCTV cameras, laundry services and free wifi access. You can explore the nearby sights that include temples, museums, and parks. When travelling with loved ones, Hotel Bently ensures your safety with security in place. Restaurants and shopping malls such as Phoenix MarketCity are close by for a shopping spree or fine dining.